3) We were exploring and activating the large cube things. 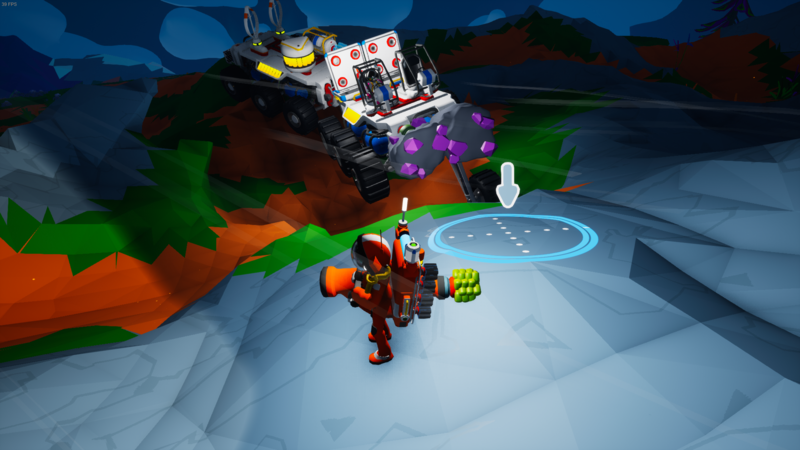 4) I would say this bug could be reproduced by entering and exiting the rover multiple times over the course of exploration and getting stuck on rocks or foliage. 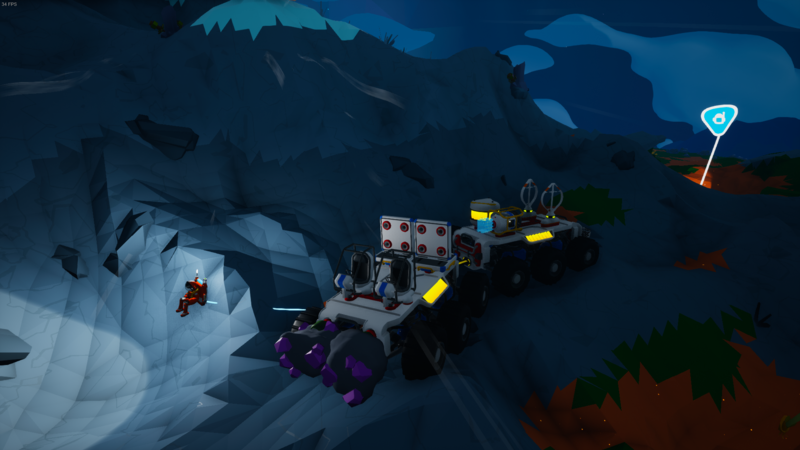 Had a few bugs tonight using the rover during multiplayer. The first image shows one player (who is stuck in the rover until they disconnected from the session) in the rover and it is completely floating. Once the player disconnected the rover dropped to the surface and was able to be used for a short period of time. The second bug was shortly after the first one where I became the rover and my character was stuck floating in no man's land. Each time we got stuck inside the rover it was still drive-able except we could not exit the rover. The only way to stop this from happening was the restart the session.